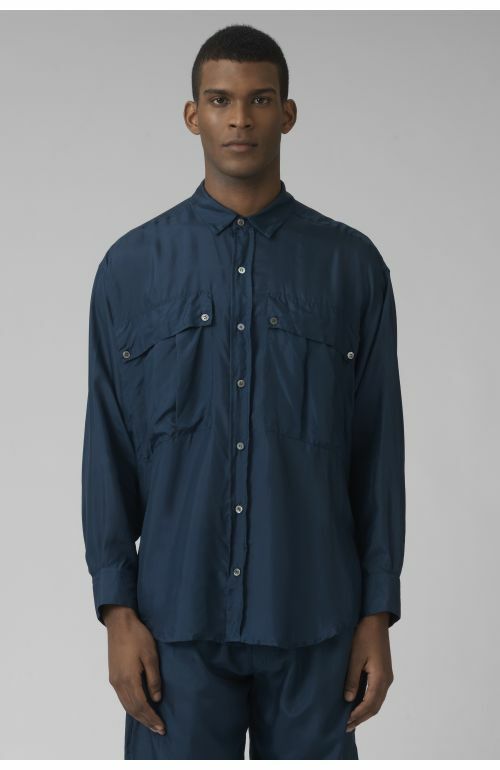 Alex navy organic cotton shirt by Katharine Hamnett London featuring oversized fit, small collar and stitched through placket. 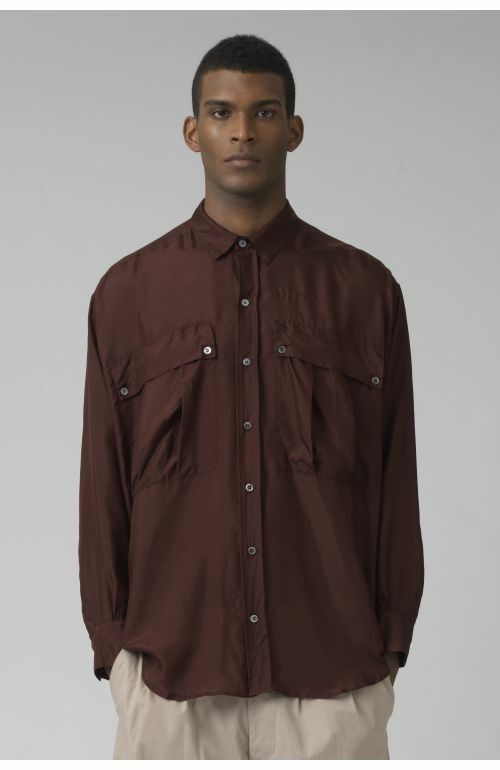 Military inspired outsized pleated pockets and buttoned down pocket flaps. 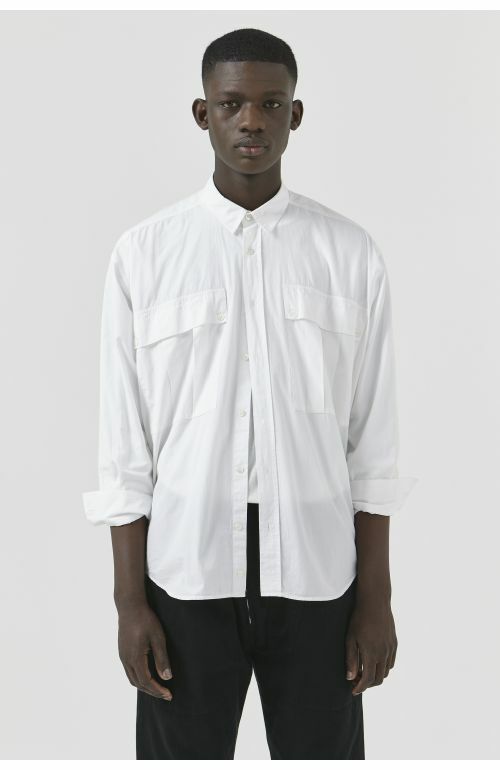 Single cuff with single button and buttoned placket. Cross-stitched pleat at centre back and French seamed throughout. V insert at side seam. Curved hem at front and back and V insert undersleeve. Mother of pearl buttons.